I would think that I’ve had my fill of vampire books after the overwhelming glut of the Twilight trilogy and everything following it, but this book is FANTASTIC. 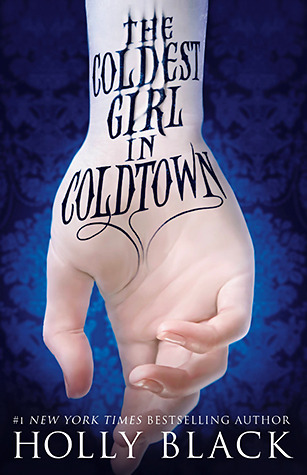 Tana lives in a world where vampires are present and shut up in quarantined areas called Coldtowns. The book opens with her waking up from a party the night before and realizing that everyone else was killed by vampires- everyone except her ex and a mysterious person in chains. What I loved about this book is Tana, and all of the characters, really. Tana is strong and decisive and she saves the day over and over. She isn’t compromising herself for anything and she’s willing to make sacrifices for the people she loves. She makes the hard choice and doesn’t complain. I love the clarity in how she sees her friends and family, their positive and negative aspects, and how she loves them anyway. The book is creepy and well-written, and even though it’s longer I read it over a couple of days. 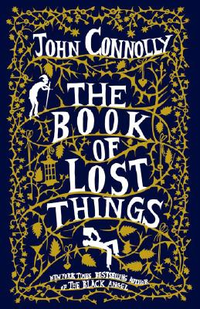 To me, this book was like a combination of the Chronicles of Narnia and Neil Gaiman and Grimm’s Fairy Tales. David, after the loss of his mom, begins to hear his books whisper to him from their shelves and has dreams of a strange world full of wolves and a crooked man. After a German plane crashes in his backyard, David hears the voice of his mother and follows it through a tree into another place. This place is full of the dark, twisted fairy tales that Disney doesn’t tell. While the book isn’t perfect (it runs a little long and David never felt like a fully realized character to me), the journey David takes through these dark stories was fascinating and hard to stop reading. I loved them more than the plot as a whole. Overall, this was the first book in a while that held my attention well; its familiar stories were off enough to keep me turning the pages, and the ending felt satisfying. 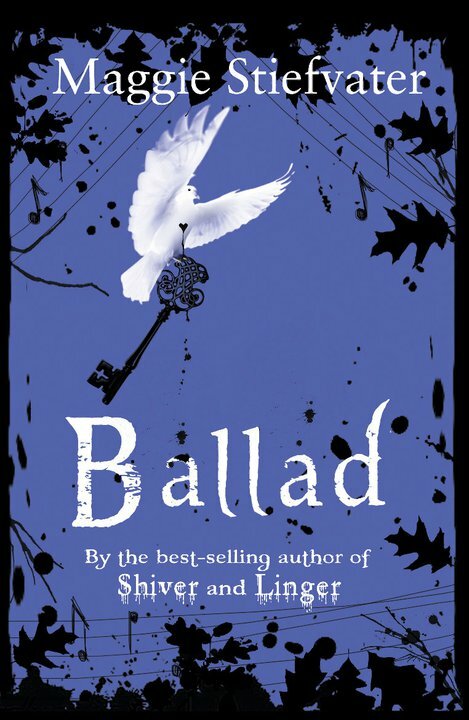 Ballad is the sequel to Stiefvater’s Lament. Maggie Stiefvater is rapidly becoming one of my favorite authors; she has a gift of taking subjects that I previously had no interest in and making them so fascinating that I can’t turn away. This is an author that has respect for the side characters. 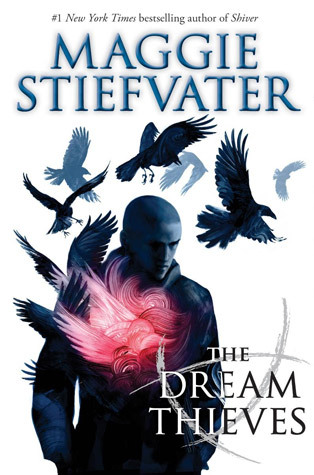 In this sequel, Stiefvater focuses on James who previously shows up as Dierdre’s best friend in the first book. James is incredible. He is snarky and dark and humorous and intelligent and after a few chapters I didn’t miss Dierdre at all. The book follows the two as they attend a special music school trying to escape their previous interaction with the fey. Immediately James finds himself surrounded by more than he bargained for, and his relationship with Dierdre is strained and awkward. We hear from her mostly in unsent text messages between chapters. This is another book that I read straight through in two days, and while I still love Raven Boys the best, James and his habit of writing premonitions across his hands captured my interest. Check it out! Oh, how I loved this book. The first installment of the Raven Boys trilogy I loved as well, but The Dream Thieves jumps straight into the action and focuses on Ronan. We pick up where the Raven Boys left off (Chainsaw was taken from a dream) and we learn about Ronan’s past, his secrets, and his gifts. Elements of this book felt very Neil Gaiman to me. Stiefvater’s writing is spectacular; the story is dark, dangerous, and creepy and full of hints of mythology. After going to school this summer in Virginia I couldn’t help missing that landscape as I was reading. Definite read. The only problem is waiting for the last book to be released. Ursula LeGuin is one of those authors that I’ve always heard of and never read- somehow I’ve had this image of her in my mind as a kind of writer that’s hard to access and only for intense, fancy people. The story follows a basic model: Ged is a wizard who must be trained. He goes to school, learns lessons along the way, and must fight his nemesis. But where this describes every story from Harry Potter on, LeGuin turns the novel into an exploration of pride and magic and light and dark. Ged grows throughout the book, and learns, and the magic seems easy and natural here. I was surprised by how much I loved this book, how beautifully written it was and how absolutely engaging. Highly recommended. Miranda is trying to figure out life as a sixth grader in 1979 New York City. She loves A Wrinkle in Time and does science projects about yawning. She is struggling with her relationship with her best friend and building new friendships while helping her mother practice for the game show appearance she’s always wanted. Then, Miranda starts to find strange notes. Notes about things that no one knows about, or could know about. 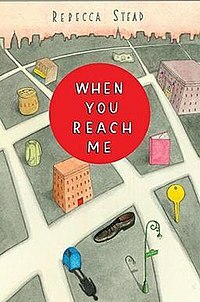 I loved the realism in this book, and the way New York felt here, like its own character. The relationships Miranda builds and breaks on the way seem real and nuanced and recognizable. And the subtle touch of the unknown that grows more strange throughout brings this book to another level. The Owl Service is based in Welsh mythology, which honestly, I’m not all that familiar with. The names of the characters are unfamiliar and some of the terminology is strange, but the story is riveting. The story revolves around three kids; a step brother and sister and their friend Gwyn. When Alison hears strange scratching noises in the attic above her bed, Gwyn investigates and finds plates with an odd pattern on the edge. She and her stepbrother realize that if they trace the pattern, they can create paper owls. The paper owls start to disappear from her room, and that might be the least strange thing happening . From then on, the book is full of weird things, those uncanny moments of did this happen or not, and the story is better for you not knowing the mythology it is based on. I read through this book quickly, with absolutely no idea on what would happen next. There was danger and fear and excitement and the characters were absorbing. It’s difficult to find a copy, but totally worth a read with a strong cup of tea.